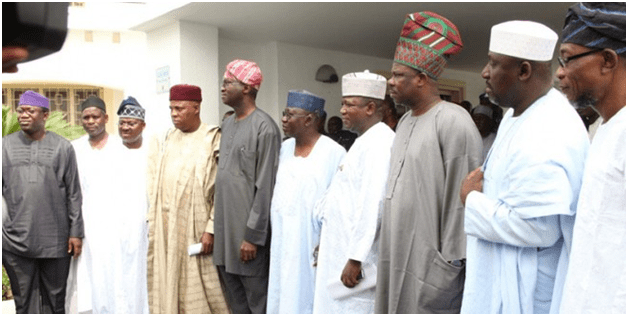 All Progressives Congress – ALL PROGRESSIVES CONGRESS (APC) v INEC, ET AL. ALL PROGRESSIVES CONGRESS (APC) v INEC, ET AL. In the words of C. P. Scott of The Guardian [UK],”Comment is free, but facts are sacred.” The facts about the formation of the proposed merger of political parties in Nigeria “All Progressives Congress” are sacred and known to every Nigerian. 1) In an article entitled “APC: The battle is set,” Emmanuel Aziken, February 8, 2013 spoke about the unveiling of APC, “the special purpose vehicle with which the country’s major opposition parties hope to contest the political space with the dominant Peoples Democratic Party.” The parties in question are the Action Congress of Nigeria (ACN), the Congress for Progressive Change (CPC) the All Nigeria Peoples Party (ANPP) and a section of the All Progressive Grand Alliance (APGA). “Any two or more registered political parties may merge on approval by the commission following a formal request presented to the commission by the political parties for that purpose. “(2) Political Parties intending to merge shall each give to the Commission 90 days notice of their intention to do so before a general election. (c) evidence of payment of administrative costs of N100,000 or as may be fixed from time to time by an Act of the National Assembly. “(4) On receipt of the request for merger of political parties, the commission shall consider the request; and if the parties have fulfilled the requirements of the constitution and this Act, approve the proposed merger and communicate its decision to the parties concerned before the expiration of thirty (30) days from the date of the receipt of the formal request. “PROVIDED that if the commission fails to communicate its decision within 30 days the merger shall be deemed to be effective. “(5) Where the request for the proposed merger is approved, the commission shall forthwith withdraw and cancel the certificates of registration of all the political parties opting for the merger and substitute therefore, a single certificate of registration in the name of the party resulting from the merger. The signatories were Ikimi (ACN), ex-Governor Ibrahim Shekarau (Chairman, Merger Committee, ANPP), Senator Annie Okonkwo (representative of APGA) and ex-Deputy Governor Garba Mohammed Gadi (Chairman, Merger Committee of CPC). Babatunde Fashola (Lagos), Kayode Fayemi (Ekiti), Rauf Aregbesola (Osun), Ibikunle Amosun (Ogun), Abiola Ajimobi (Oyo), Abdul-Aziz Yari (Zamfara), Kashim Shettima (Borno), Senator Dejare Alkali representing Ibrahim Gaidam (Yobe), Tanko al Makura (Nasarawa), and Rochas Okorocha (Imo). 3) Alhaji Bamanga Tukur, National Chairman of PDP, the governing party, took note of the proposed alliance and stated that PDP would not be rattled by its formation. Chief Olisa Metuh of the PDP called on the new party to engage the administration and the PDP on ideals and issues of governance. 4) The Independent National Electoral Commission (INEC) equally took note of the proposed merger of the parties to form APC stating that they could only transform into APC after fulfilling all the conditions in Section 84 of the Electoral Act including holding separate national conventions to ratify their decision to merge. “As far as INEC is concerned, we have only noted the new aspiration of the four parties. We have not received any letter on the merger. The parties know what is involved in a merger. That is why they are yet to communicate INEC. One thing is clear, the Electoral Act gives room for merger of parties after all procedures have been complied with. It is left to the parties to take advantage of the law. So, the question of illegality does not arise yet. 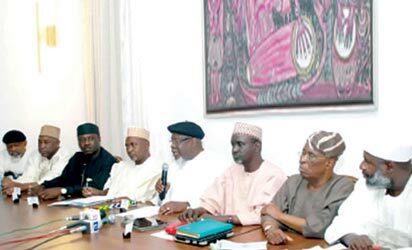 The final decision to approve the merger or not is solely that of INEC.” The Nation, Saturday, 9 February 2013. 5) On Tuesday, March 12, 2013, the nation woke up to hear that a new party African Peoples Congress, was in the process of filing its papers for registration as a political party in Nigeria with the same acronym APC already staked by All Progressives Congress. 6) If quoted correctly, Chief Olisa Agbakoba, SAN was not quite correct when he said “It is a bit disappointing that the new opposition party overlooked a very important issue of securing registration of its name. In any enterprise that you embark on, the first thing is to secure your trade name…. So INEC is not wrong to receive a name that sounds like that of APC and because you cannot have two APCs, the opposition will obviously have to look for a fresh name, unless, of course, the first party that registered is not going to pursue its registration.” INEC definitely is not wrong to receive “a name that sounds like that of APC” but INEC would be morally and legally wrong to “register” another party with the acronym “APC.” Here are the reasons. 7) There is statutory law (equitable, or civil) embodying legislative enactments and there is common law based on societal customs as recognized and enforced by judgments of the courts. Statutes, regulations and the common law prohibit any fraudulent, deceptive or dishonest trade practice. Unfair competition also prohibits the appropriation by a competitor of the economic and intellectual creations of, and the goodwill and reputation generated by, another business. Such unfair competition includes the infringement of copyrights, trademarks, patents, trade names and trade secrets. 8) All Progressives Congress by announcing the proposed formation of the merger, presenting its acronym, articulating its motto and purpose and publicly displaying its logo has created its identity and announced it to every Nigerian and to the world. The name is unique, the logo distinctive and non-generic. It has met all the conditions precedent to merit protection from infringement. Protection, legally is provided through registration of the trade name and registration of the trade mark. In the United States of America infringement claims may be brought at the federal level under the Lanham Trade Act (15 U.S.C.A. §§ 1051 et seq.) and at the state level additionally under common law doctrines and intellectual property statutes. Under common law, All Progressives Congress recognizable acronym and distinctive logo confer on it legal protection even absent any formal registration with the Corporate Affairs Commission or the Registrar of Trade Marks. As such any appropriation of the name, logo or trade mark constitutes theft even in the strictest construction of the word. All Progressives Congress is entitled to the exclusive use and enjoyment of the acronym (APC) and the logo as designed. 9) Copyright and patent laws generally give individuals and corporations exclusive rights to works, ideas, concepts they create especially as in the case of All Progressives Congress after days and months of planning and brainstorming by notable individuals spread across the country which included three major political parties and a faction of APGA, ten state Governors and representatives of the people on the state and federal levels. It is therefore tortious for any individual to use or appropriate the acronym “APC” or its likeness after it had been extensively advertized nationally by its creator All Progressives Congress. It is equivalent to impersonation, the appropriation or misappropriation of the name, acronym, image and likeness of an individual whether personal or corporate. Such impersonation is of course justiciable. 10) The case of Data Concepts, Inc. v. Digital Consulting, Inc. in the United States shows that trademark infringement is a mixed question of fact and law and the first for instance to register a trade name in contention may not be able to keep its use. In the USA, Brookfield Communications v. West Coast Entertainment Corp. shows that even “registration does not in itself constitute ‘use’ for purpose of acquiring trademark priority.” The determinant law of course is who has a prior or superior right to the mark or acronym. All Progressives Congress began using the acronym (APC) on February 6, 2013. All other claimants or pseudo-claimants (African Peoples Congress (APC) and All Patriotic Citizens (APC) or any other variant, born or unborn is a junior claimant to the acronym and cannot or should not displace All Progressives Congress as the prime and senior owner of the acronym having first publicized its ownership of the acronym and the pseudo-claimants, as well as INEC and other Nigerian publicly and openly had knowledge of that ownership through open disclosure to friend and foe of that fact. 11) Therefore any attempted use of that acronym (APC) by any competing organization constitutes an infringement in the same political market place called Nigeria. By common law, All Progressives Congress has the right to use the acronym “APC” conferred on it by priority of use and by implication the right to register it when it has met the required conditions with INEC. For instance, the Lanham Act in the United States determines who has priority rights in a mark from establishing who was the first to use it to identify his or her goods. 12) A logical inclination would be for All Progressives Congress to go to court and obtain an injunction restraining INEC from registering any party with the acronym “APC” because of the priority of its use and the superiority of its claim. What happens if the case becomes mired in the landmines of Nigerian courts from the High Court through the Appellate levels to the Supreme Court? All Progressives Congress should quietly follow the constitution, hold its convention and present its application for merger formally to Independent National Electoral Commission. INEC for once will do the right thing for the progress and enthronement of democracy in Nigeria. INEC is now facing the International High Court of Justice.